Malta’s first participation was in 1971 and after 1973 they made a break of more than 15 years. Since then Malta is quite eager to place well and the big hope is to win the contest one day. The Maltese delegation always enthuses the press that one day when Malta is going to host the Eurovision Song Contest there will be an open air concert. Malta has been very close to this dream for several times two 2nd and two 3rd places in the recent years. Every year there is the big Malta song festival from which the winner will be send to Eurovision. This year the most successful Maltese singer in Eurovision Chiara is going to try it for the third time already! Chiara has impressed the audience and juries with her great voice, her lovely appearance and her heart warming charisma. 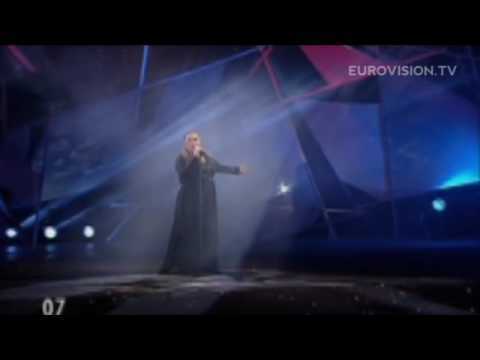 In Birmingham 1998 she came 3rd in a very close and tough final with “The one that I love”, in Kiev she even came 2nd with her own composition “Angel”. So this year it’s her third attempt to reach the crown. The song “What if we” is not what to expect after the other two fabulous songs. From Chiara everybody would have expected so much more, the song is absolutely boring and sound like the music between the entries during the postcards. There is no climax, no opportunity to hear her excellent voice. Even if Chiara deserves to win, this song will fail.